Stone has supported more than 400 local, regional and national charities by donating nearly $350,000 worth of Stone beer, merchandise and gift certificates for fundraising events. Looking back on last year, Stone Brewing Co. contributed more than $650,000 to charity in 2013, thanks to loyal fans, dedicated volunteers, craft brewing compatriots and a stellar group of Team Stone employees. As in previous years, the last 12 months were packed with charitable endeavors that benefited a variety of organizations. On August 16 and 17, Stone held its 17th Anniversary Celebration & Invitational Beer Festival. One of the brewing company’s largest charity contributions to-date was made possible by: 7,000 fans who attended the festival; 73 breweries that donated kegs of beer; 342 volunteers who donated their time; and the 314 Stone employees who worked the two-day event. This allowed 100 percent of proceeds from the festival — $250,000 in all — to be donated to local charities, including the Boys & Girls Club of San Marcos, Fight ALD, Palomar Family YMCA, Surfrider Foundation and California State University San Marcos Foundation. Tours of Stone’s production brewery are offered daily, and $1 from each $3 admission sold is donated to selected charities. 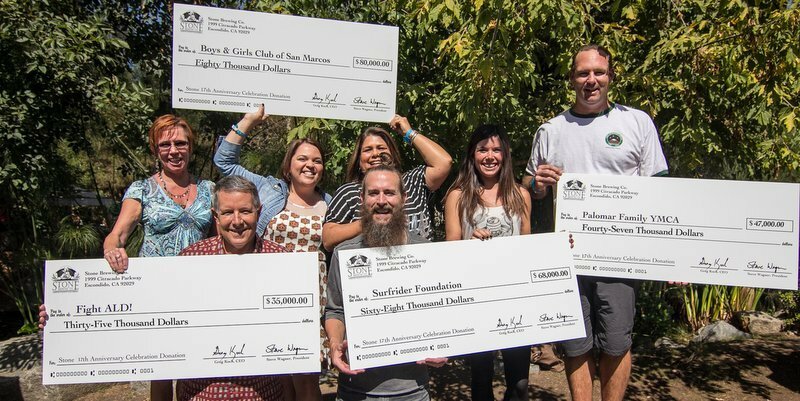 Stone collected more than $50,000 in donations from tour sales in 2013, donating proceeds to Project Walk Spinal Cord Injury Recovery Center (first quarter earnings), The Escondido Creek Conservancy (second quarter), TERI Campus of Life (third quarter) and Casa de Amparo (fourth quarter). Earlier this year, Stone opened its second farm-to-table restaurant, Stone Brewing World Bistro & Gardens – Liberty Station, located in San Diego’s Point Loma community. To fine tune the restaurant’s operations before officially unveiling it to the public, Stone hosted three pre-opening sessions on May 10, 11 and 13. Fifty percent of the total proceeds from these events were donated to charities — totaling $15,000 in contributions. The NTC Foundation received $10,000, and $5,000 was given to the National Marine Mammal Foundation. In an effort to support research for Amyotrophic Lateral Sclerosis (ALS, or Lou Gehrig’s Disease), Stone donated $10,000 to Ales for ALS from proceeds of yet another beer brewed at Stone’s Liberty Station brewery-restaurant, Stone Brewing World Bistro & Gardens — Liberty Station 12/15 IPA: Ales for ALS IPA. The beer was a low-alcohol IPA brewed with four new and unique hop varietals. Created by B.T. Loftus Ranches Inc. and Hopunion LLC, Ales for ALS offers participating brewers access to a proprietary hop blend free of charge in exchange for donating a portion of the beer’s sales to ALS TDI, the world’s leading ALS research organization. A small, 400-guest beer launch festival was hosted at Stone Brewing World Bistro & Gardens – Liberty Station for the world’s geekiest collaboration beer, Drew Curtis/Wil Wheaton/Greg Koch Stone Farking Wheaton w00tstout. 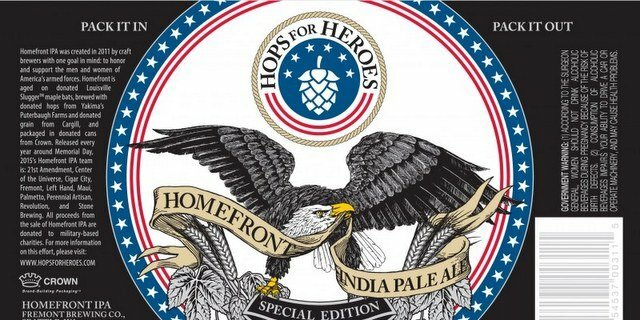 Stone donated more than $3,000 to Operation Homefront, a non-profit organization supporting and bettering the lives of U.S. Military families, as part of its Hops for Heroes initiative. 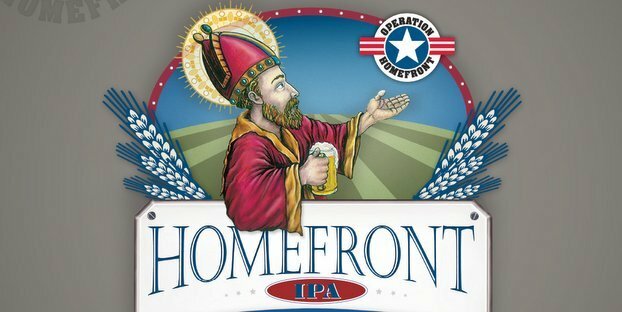 The funds donated were from sales of Operation Homefront IPA, which was brewed at Stone Brewing World Bistro & Gardens — Liberty Station. The beer was an India pale ale brewed with orange peel, in addition to Chinook and Cascade hops, then rested in fermenter tanks with untreated maple bats donated by Louisville Slugger. Additionally, members of the San Diego Padres served as spokespeople for the cause as extensions of Operation Homefront’s sponsor for this endeavor, Major League Baseball. A small, 400-guest beer launch festival was hosted at Stone Brewing World Bistro & Gardens – Liberty Station for the world’s geekiest collaboration beer, Drew Curtis/Wil Wheaton/Greg Koch Stone Farking Wheaton w00tstout. Proceeds from ticket sales at this sold-out event were donated to charitable organizations selected by the beer’s collaborators. Wil Wheaton, professional geek and actor from Star Trek and Stand By Me, and Fark.com creator Drew Curtis chose The Hero Initiative as the charity to which Stone donated $1,000. An additional $1,000 was also donated to ECOLIFE, per Stone CEO/Co-founder Greg Koch and President/Co-founder Steve Wagner. Stone hosted two public blood drives in support of the San Diego Blood Bank. The combined efforts of both drives helped save 364 lives. A two-day drive in March resulted in 56 units of blood collected, equating to 168 lives saved, and a second two-day drive in September resulted in the collection of 59 units of blood, equating to 177 lives saved. Stone donated 50 complete Thanksgiving meals to two different charitable causes. Casa de Amparo, an organization that treats and prevents child abuse and neglect throughout San Diego County, received 45 meals, and five dinners were also provided to the Oceanside Yacht Club, who served them to Camp Pendleton Marines and U.S. Marine Corps veterans. Additionally, Stone has supported more than 400 local, regional and national charities by donating nearly $350,000 worth of Stone beer, merchandise and gift certificates for fundraising events.